If you've had ongoing problems with your Jeep, you may be entitled to compensation. Since 1991, Kimmel & Silverman has provided free Lemon Law help to more than 80,000 distressed drivers. Water leaks via the doors, windows, vents, and roof (Jeep Commander, Jeep Compass, Jeep Grand Cherokee, Jeep Liberty, Jeep Patriot, and Jeep Wrangler). Vibration and noise at high speeds or while braking, including the "death wobble" (Jeep Compass, Jeep Liberty, Jeep Patriot, and Jeep Wrangler). Engine stalling or not starting at all (Jeep Commander, Jeep Compass, Jeep Grand Cherokee, Jeep Liberty, and Jeep Wrangler). Dashboard warning lights do not turn off (Jeep Compass, Jeep Grand Cherokee, Jeep Liberty, Jeep Patriot, and Jeep Wrangler). 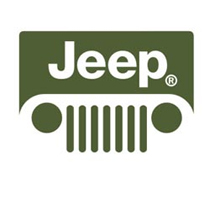 Transmission issues (Jeep Cherokee and Jeep Grand Cherokee). If you follow our blog, you know that the water leak problem has been a major issue for Jeep owners for the past several years. The leaks happen in nearly every Jeep model and occur through nearly every possible opening in the vehicle. This can lead to mold and mildew that exasperate driver and passenger allergies (including asthma). Water leaks can also cause electrical shorts and other mechanical problems. Kimmel & Silverman has helped more than 700 Jeep owners receive compensation for their leaky vehicles since 2008, and payments have included complete refund and brand new replacements! To see if you qualify, check out our 30-second Lemon Law online quiz or fill out our Get Rid of Your Lemon form. You can also call us at 1 800 Lemon Law (1-800-536-6652).